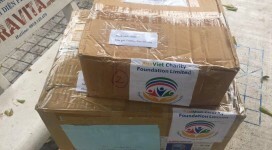 On 20 October 2017 , AVCF and our local volunteers had come to disaster areas and distributed by hands 300 food gift packages , 5 set WATTS Watts 3 Stage Kwik-Change Ultrafiltration Systemwater with pumps , medicines to poor people. 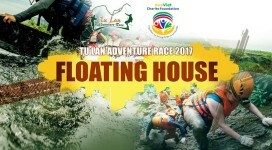 After the Tu Lan Adventure Race 2017, AusViet Charity Foundation, with the supports from HD Masters, VCL group and Oxalis Adventure Tours, had donated a floating house for poor people at Tan Hoa Village, Quang Binh. 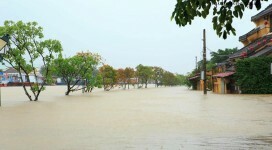 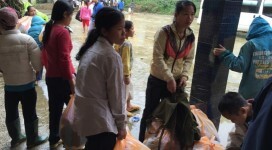 Heavy rain caused by tropical depression have caused a major flooding in Quang Binh, Central Province of Vietnam. 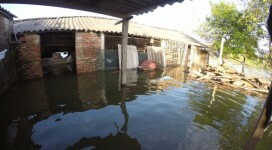 Many houses and important roads have been submerged in flood water. 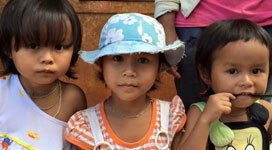 Kon Tum is a poverty-stricken ethnic minority village located in the Central Highlands region of Vietnam. 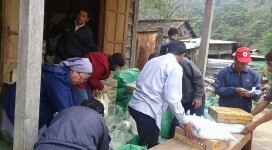 Being one of the poorest provinces of Vietnam, they are currently experiencing a famine as a result of poor harvest.